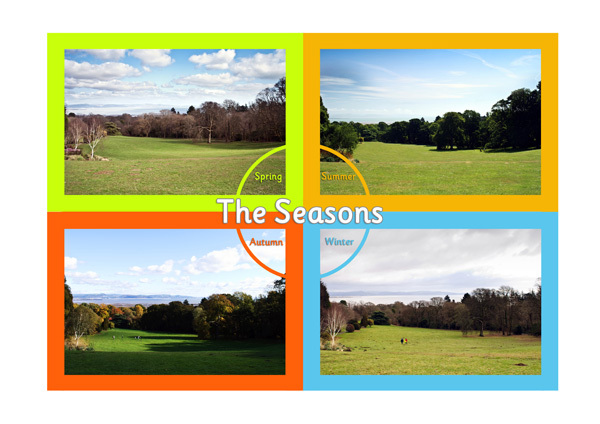 A4 poster featuring photos of the same landscape taken in each of the four seasons. Also available as 4 individual A4 posters. Photos courtesy of Sam Roper.